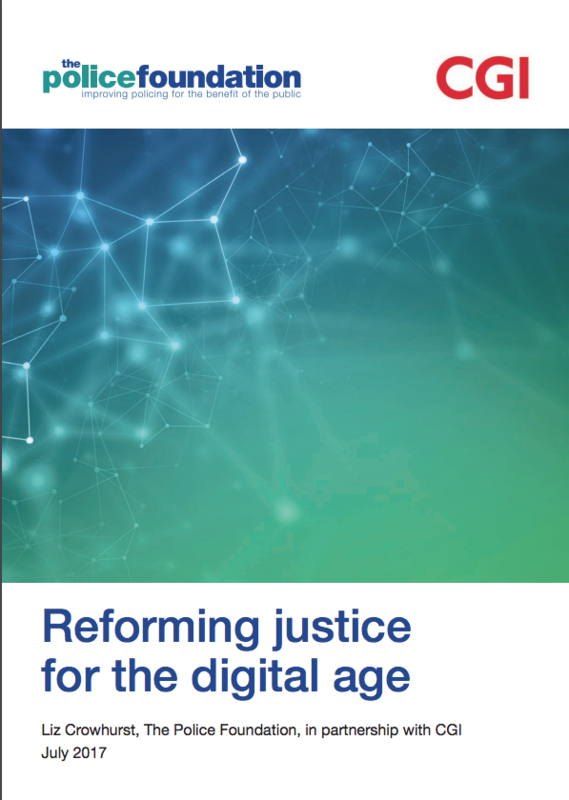 In partnership with CGI, the Police Foundation embarked upon a project to explore how digitisation could be better harnessed by agencies across the justice system with a particular emphasis on the benefits to service-users. Through consultation with industry experts and policymakers we hoped to be able to not only identify continuing barriers to change, but also to propose innovative solutions to age-old problems of inefficiency and user-dissatisfaction. As part of this process a number of roundtable discussions were also facilitated, alongside some informal interviews. All of these sessions were held under the Chatham House Rule. The Police Foundation is very grateful to CGI for funding this project and would like to express particular gratitude to Nick Dale who led from CGI and David Filmer and Pete Merry for their contributions to this discussion paper.